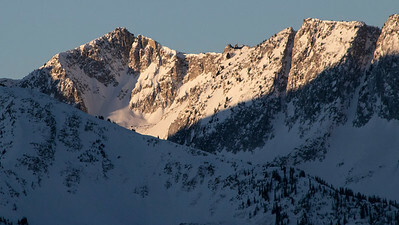 Capture the early morning sunrise across canyon on South Thunder Mountain. 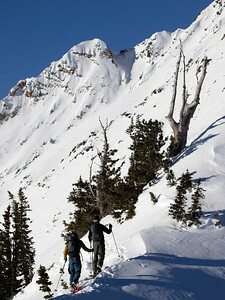 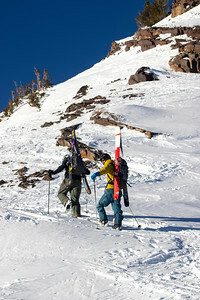 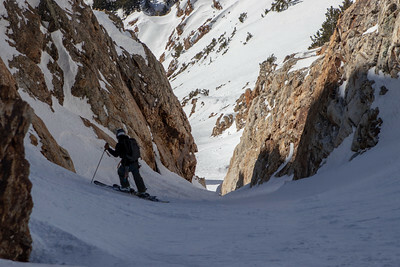 Mike and Liam boot up Mt Superior en-route to Mount Cristo Directissimo couloir. 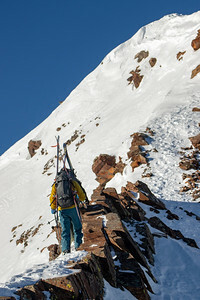 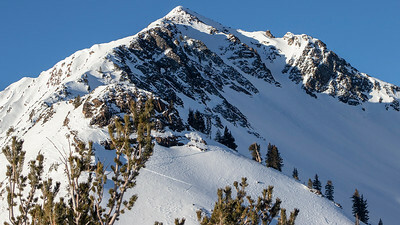 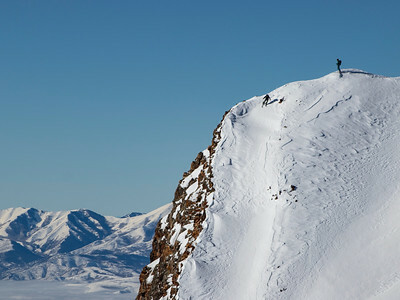 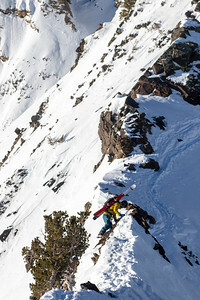 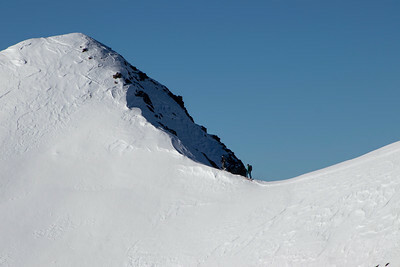 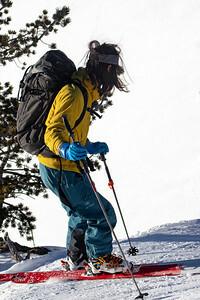 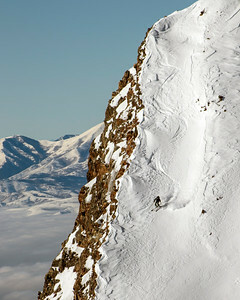 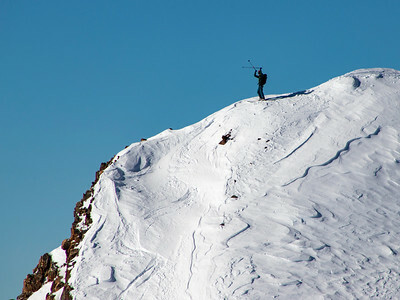 Liam from Bridger Ridge Montana, does some rock climbing moves in ski boots to navigate the ridge. 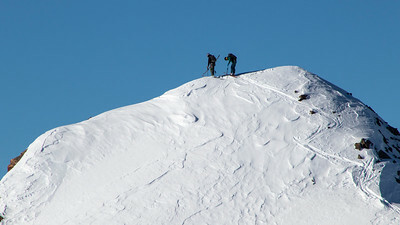 The final approach on the ridge between Mount Superior and Monte Cristo peak. 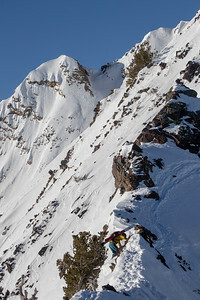 Mike Mckinney "Edge of the World"